Instalador ransomware uses sophisticated techniques to infiltrate computers and hide from its victims. Use Reimage to determine whether your system is infected and prevent the loss of your files. Instalador ransomware is a file-encrypting virus which functions with one goal — encrypt valuable information using AES algorithm and insist on paying 0.05 Bitcoin in exchange for the decryption key. Victims can easily recognize this PC threat by the .qwerty extension it appends after encoding data. Currently, it targets Portuguese-speaking countries, more specifically Brazil. However, since it is under-development, experts believe that criminals will aim to spread their infection worldwide. This ransomware-type hazard travels as Instalador.exe which is the executable of the virus. After infiltrating the system, it opens a new “Aguarde…” window for the user. At that time, the files are being encrypted with a sophisticated algorithm and shortly after the victims receive a ransom note of Instalador virus. After payment we will send your password and you will be able to quickly unlock your files! Through our Telegram we will send the password of your computer! Thank you very much for your contact! Criminals ask their victims to contact them via an instant messaging platform called Telegram to get further payment details. Attackers promise users to send Instalador's decryptor after receiving the Bitcoin transaction. Unfortunately, they tend to demand more money and leave victims empty-handed after the payment. Instalador ransomware is an in-development virus which encrypts information and appends .qwerty at the end of the filenames. Likewise, you should NEVER fall into the trap of the cybercriminals and pay the ransom. Instead, remove Instalador and try alternative ways to get back the access to the encrypted data. You can get a professional antivirus software to get rid of the ransomware for you. Our top pick would be Reimage. After Instalador removal, you can try to recover files from backups. In case you do not have them, we have prepared quick decryption steps at the end of this article. Unfortunately, one software might not be able to retrieve all encrypted documents. Therefore, make sure that you try all of them to reach the best result. Even though most of the users believe that ransomware is remotely infiltrated on their systems, usually people let it in by themselves. The primary distribution methods of file-encrypting viruses are malicious emails and fake software updates. Additionally, dangerous computer hazards might be located on file-sharing websites, like P2P networks. Criminals take advantage of credulous people and try to hide the ransomware inside legitimate-looking emails. Usually, they impersonate well-known companies to trick users into opening the infected letter. Unfortunately, clicking on the email leads to ransomware infiltration. 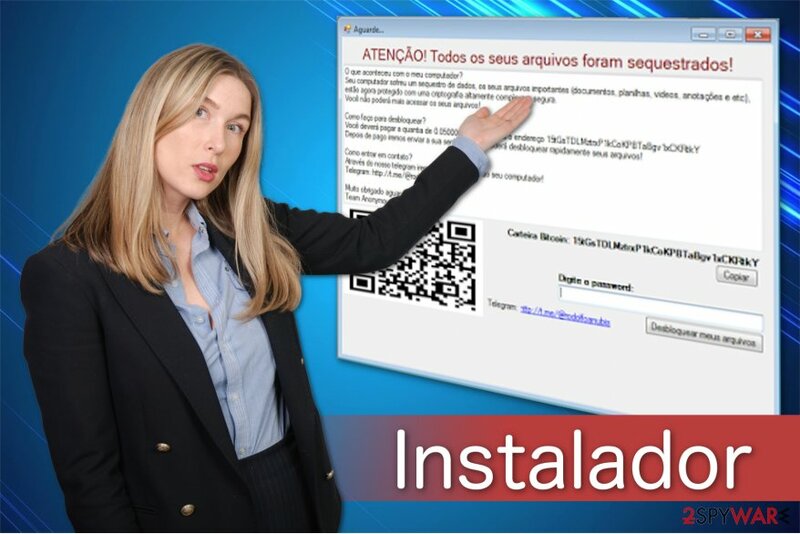 Furthermore, users can encounter pop-up ads which claim that their software is out-of-date and encourage to download an update directly by clicking on the advertisement. Note that this is a popular trick to benefit from naive computer users and infect their systems with malicious programs. Likewise, you should attentively track your online behavior and NEVER click on suspicious content online. Open letters only from people you know and immediately delete spam emails. Also, you should download software and updates only from official websites and avoid illegal downloads at all times. Unfortunately, you are not able to get rid of Instalador without the help of the professional. 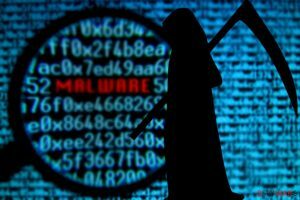 Ransomware-type programs are highly sophisticated and can infiltrate add-ons which might hide its presence. Likewise, regular computer users might either not find them or confuse with legitimate system processes. 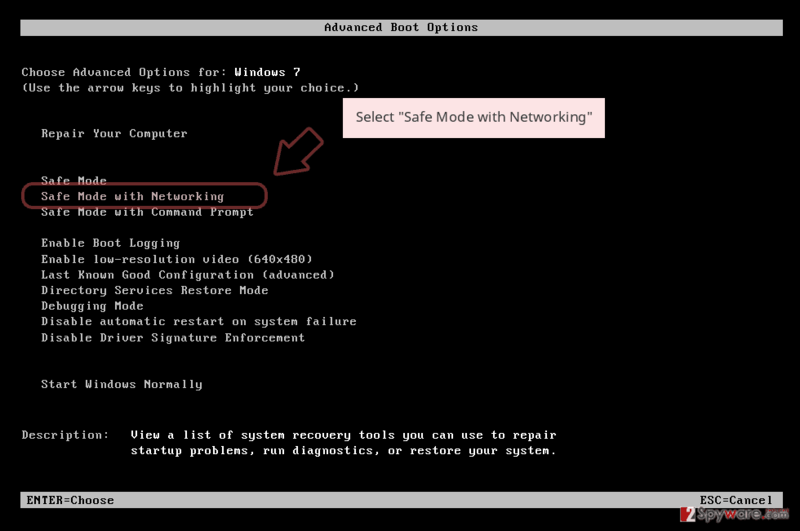 Note that terminating or disrupting them might damage your system permanently. Thus, Instalador removal should not be completed manually. We recommend you to contact an IT specialists or get a professional security software to help you uninstall the ransomware. You can remove Instalador with Reimage, Malwarebytes MalwarebytesCombo Cleaner, or Plumbytes Anti-MalwareMalwarebytes Malwarebytes. These malware removal tools are designed to quickly eliminate dangerous computer threats and protect your system in the future. 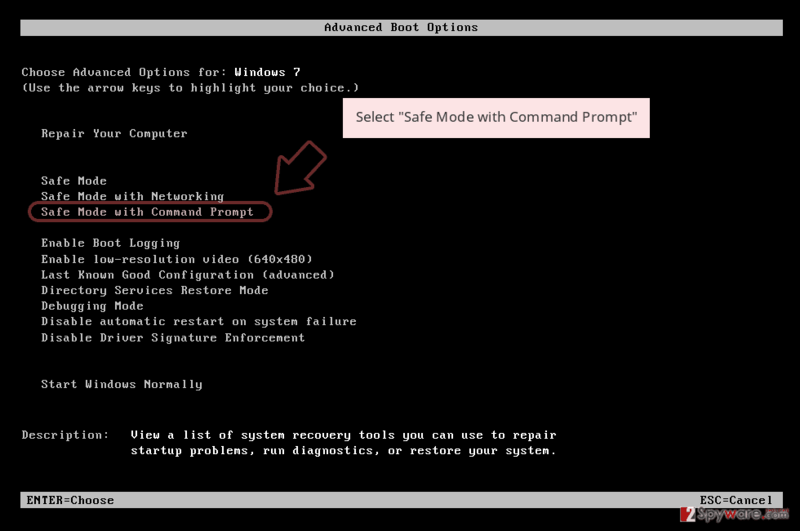 However, experts from BedyNet.ru warn that you might need to boot your PC into Safe Mode first. For that, use the instructions below. 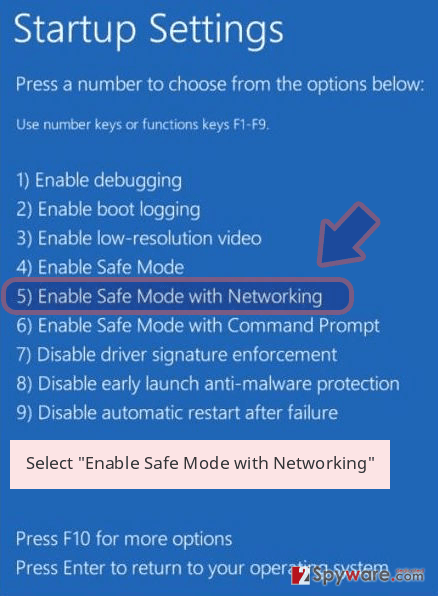 The first thing to do after ransomware attack is to deactivate the virus by booting your computer into Safe Mode with Networking. Log in to your infected account and start the browser. Download Reimage or other legitimate anti-spyware program. Update it before a full system scan and remove malicious files that belong to your ransomware and complete Instalador removal. 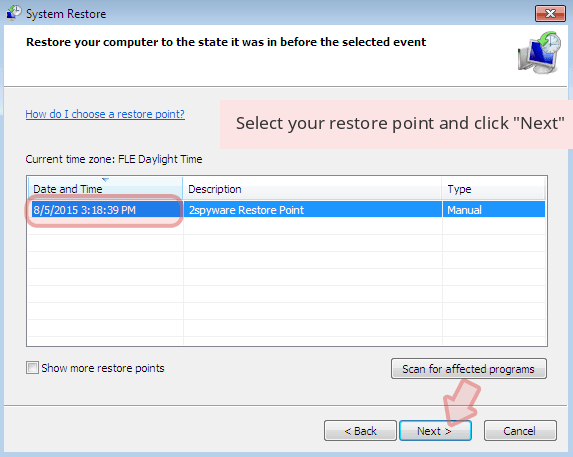 When a new window shows up, click Next and select your restore point that is prior the infiltration of Instalador. After doing that, click Next. 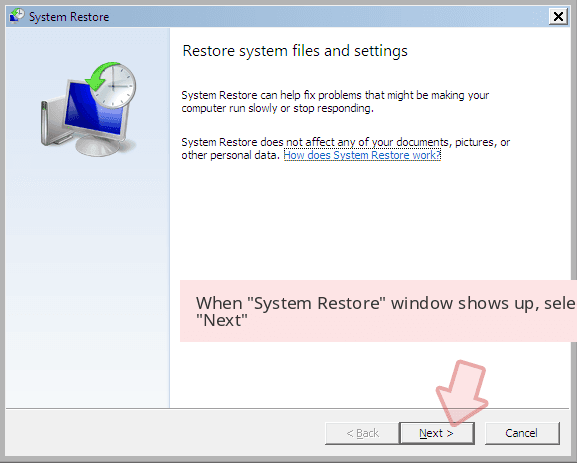 Once you restore your system to a previous date, download and scan your computer with Reimage and make sure that Instalador removal is performed successfully. Guide which is presented above is supposed to help you remove Instalador from your computer. To recover your encrypted files, we recommend using a detailed guide prepared by 2-spyware.com security experts. This is a highly recommended professional tool which might recover encrypted data in case of ransomware. Additionally, it is useful once the user has accidentally deleted important files and wants to recover them. 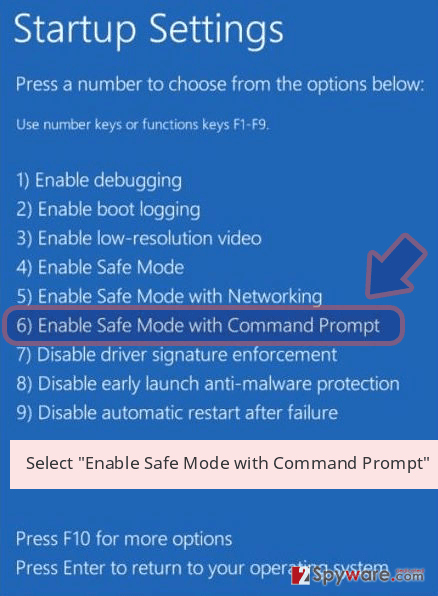 Another way to get back access to your data is to take advantage of this Windows function. 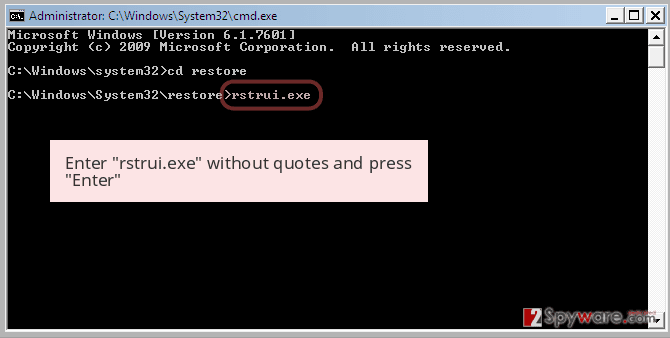 However, it is vital that System Restore would have been enabled before ransomware infiltration. Since Instalador ransomware is still under development, it does not corrupt or delete Shadow Volume Copies from victimized computers. Likewise, ShadowExplorer can use them to help you recover encrypted data. ^ Dangers of Peer-to-Peer Networking. The University of Texas. IT Security. This entry was posted on 2018-01-22 at 02:58 and is filed under Ransomware, Viruses. You can quickly scan the QR code with your mobile device and have Instalador ransomware manual removal instructions right in your pocket. How did you remove Instalador virus?